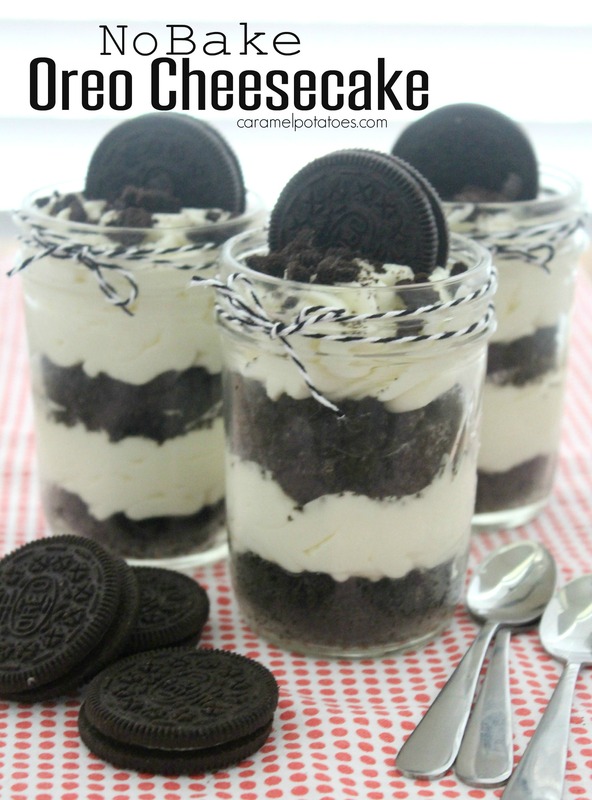 This No-Bake Oreo Cheesecake is a simple and delicious dessert that is perfect for any occasion. And isn’t everything better when it is served in a cute jar? Of course this recipe could be made into an actual pie form, but single servings are so fun! 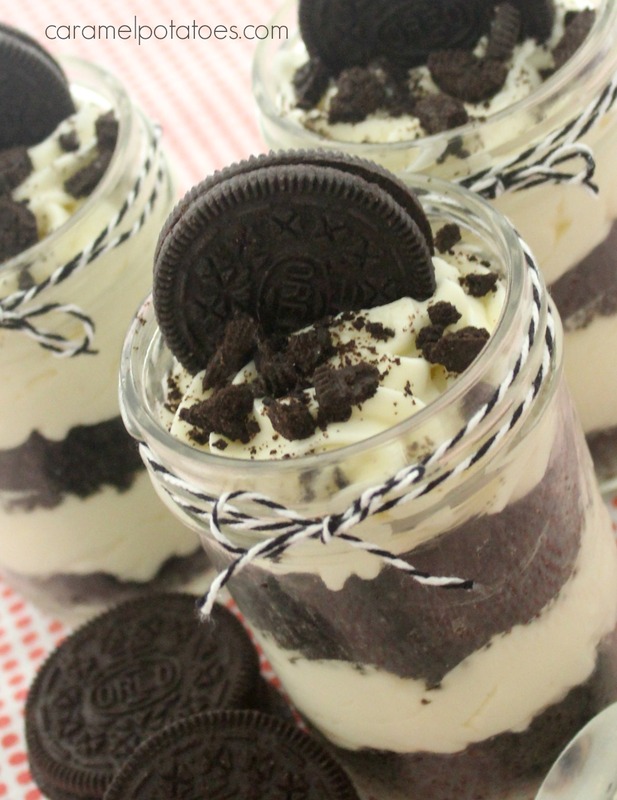 Try this No Bake Oreo Cheesecake as an afternoon snack, evening dessert or a late night snack! Crush Oreo cookies in a Ziplock bag until fine crumbs. Combine the cookie crumbs and butter. Set aside. Mix the cream cheese and sugar until light and fluffy. Add the vanilla. Fold the whipped cream into the cream cheese mixture. Press about 2 tablespoons into the bottoms of 4 (1 cup) mason jars. Add 1/4 – 1/3 cup of cheesecake mixture on top of the cookie crust. Spoon another 2 tablespoons of cookie mixture over the cheesecake. Repeat with another layer of cheesecake. Top with more crumbs and/or a single Oreo. Refrigerate at least 2-3 hours before serving. NOTE: To make the cheese cake in a pie pan. Press cookie mixture into a 9 inch pie shell. Spoon in the cheesecake mixture. Top with crumbled cookies. Refrigerate at least 2-3 hours or overnight.